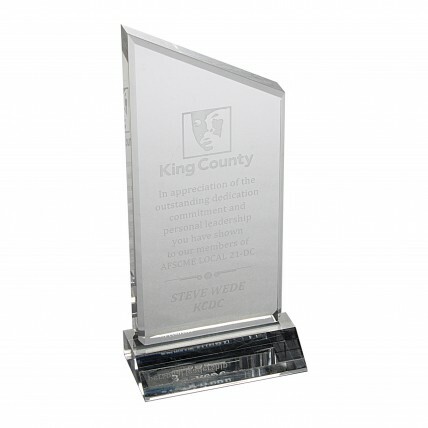 These Peak Acrylic Awards are elegantly designed to represent the pinnacle of accomplishment. Made of lucite with beveled edges, they have a simple, classic, shape but provide timeless beauty. Includes 8 lines of frosted engraving. Small: 6.75", Medium: 7.75", Large: 8.75"
Small: 6"x3.25", Medium: 7"x3.375", Large: 8"x3.75"